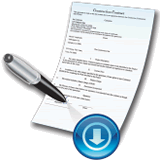 The contractor submits the AIA forms G706 affidavit along with the final request for payment. AIA Document G706™ Affidavit requires the contractor to list any debts or claims (such as payroll, bills for materials & equipment, and other) in connection with the construction contract that have not been paid or otherwise satisfied - that the Owner could end up being responsible for. You may also find that you have to include a lien bond or indemnity bond along with the G706 to protect the Owner with respect to each exception (the list of debts/claims if any). The G706 will state that all bills (materials and equipment), payroll, and other indebtedness connected with the work, if any indebtedness exists, for which the owner might be responsible has been paid or otherwise satisfied. 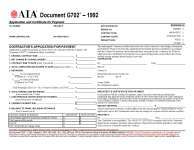 If the contractor has any unpaid/unsatisfied indebtedness or known claims on the project this AIA Document G706™–1994 is designed to provide that information for the owner's protection. You might also be required to furnish a lien bond or indemnity bond to protect the owner with respect to each exception. Please note that if you need to edit the info that you've already printed to an actual AIA document such as the G706 the AIA requires that you use (and pay for) a whole new blank AIA form - yep, just because of a typo. AIA forms get expensive REAL quick; faster than overdraft fees can domino in a bank account!